Your child may choose to focus his own story on the themes within Persephone, or he may let his imagination run wild. Anything is possible with fiction! I think story spark sentences are a great way to expand your child's vocabulary, and give your child the ability to get creative! 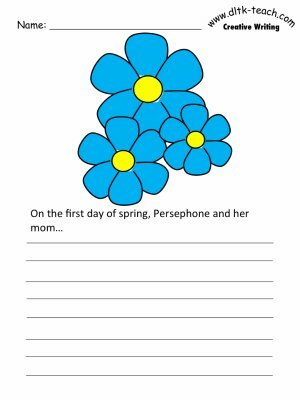 "On the first day of spring, Persephone and her mom..."